The CoffeeShop Blog: CoffeeShop Eleven Image Storyboard for Print or Web!!! CoffeeShop Eleven Image Storyboard for Print or Web!!! This storyboard is 8x10 inches so you can print it or resize it for the web, and most of the cutouts are for standard 4x6 images. Isn't this the best storyboard ever? 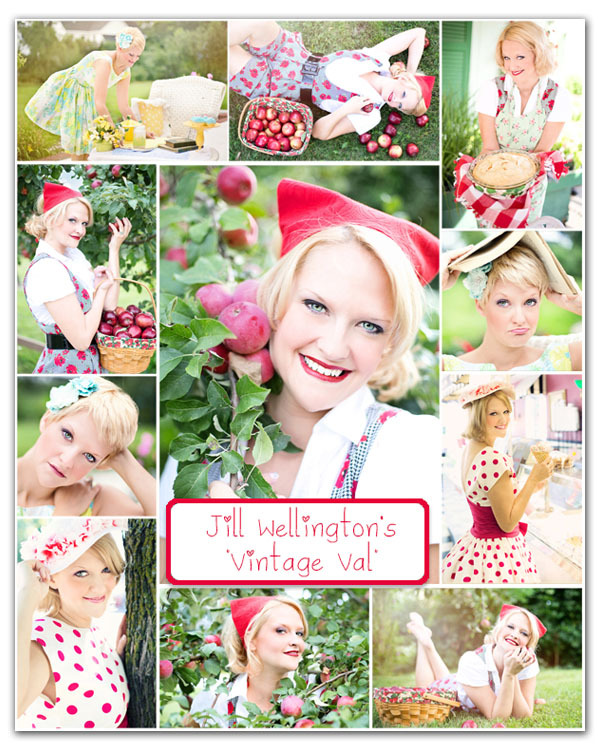 I used photos from Jill Wellington's (Facebook, Blog) "Vintage Val" series. I love Vintage Val, she is gorgeous. I used Sweetie Pie font for the label. Jill also just released her newest texture/overlay set called "Painted Wood Barn Collection", you should check it out. 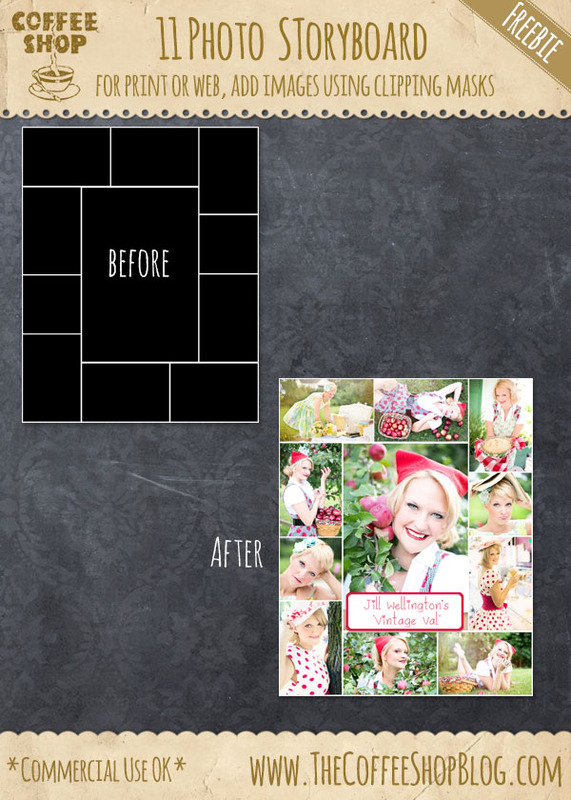 Download the free CoffeeShop Eleven Image Storyboard. You can also download it here. I LOVE your story boards and use them all the time! You make it SO EASY, Rita! Thank you! Hi Rita. I'm having trouble with downloading this storyboard. It's not downloading as a zip file (rather the image is just a white sheet of "paper". Once it's on my computer I can't open it even with PSE. It says it's the wrong type of file. The storyboard 12 opens fine. Thanks for all of your wonderful sharing with us! This looks fantastic! I am having trouble with this download though, at both link options. It isn't coming up as a recognizable file. No problems with any other storyboards. Help? Download link should be fixed!!! Thank you Rita. It is all fixed. Now I'm going to play with it! Thank you so much Inny!!! !